Home » FAQ » What is residual melt cushion for thermoplastic processing? Cushion should be a minimum amount that is injected and the next cycle, after screw return. 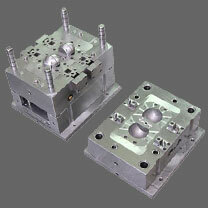 END of screw return should be a few seconds before mold opening and RPM determined by the material "Heat" sensitivity. Generally, 3-7 mm should be correct in most cases. You should keep in mind, that melt cushion value should be stable cycle to cycle within 0,1-0,2mm (depends on product precision requirements), and cushion value must be bigger than decompression after dossing - otherwise you lose control over injectable volume.